Plus a video of Troy from West Virginia. 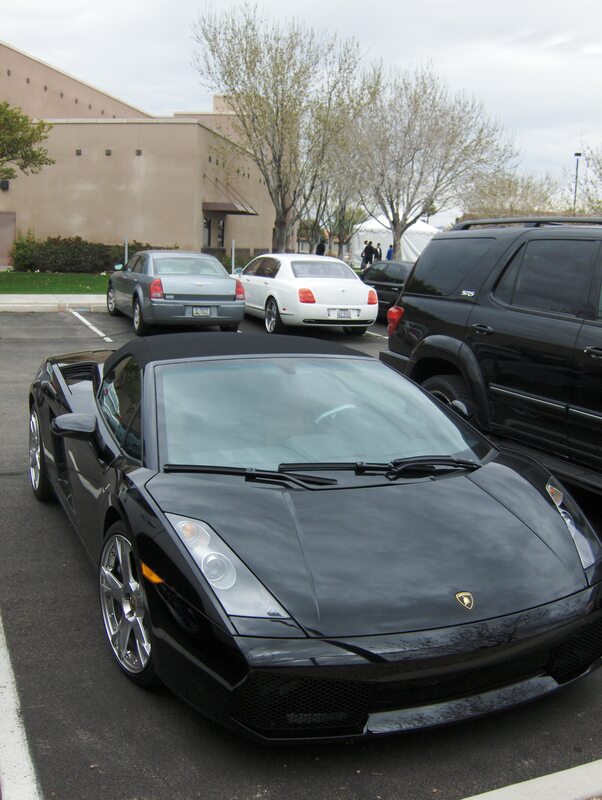 Alfonso Soriano can keep buying cars like this one. I took this picture back in February when the Cubs were at Arizona preparing for Spring Training. Soriano parked his car and let me just say that I wish I could drive this toy. Dodgers or Cubs ? Vote ! These “experts” are saying that the Cubs will win this series. Except Peter Gammons. Troy from West Virginia breaks down the Playoff Roster! Andre Ethier updated his blog. Ads will be displayed on Wrigley Field. Dodgers-Cubs Playoff tickets are a hot item. Chicago Cubs legend Ernie Banks adopted a baby. I’m serious. No word if he said “Let’s adopt two !” I met him last year and he is a very nice guy. Who is going to win this series ? Dodgers or Cubs ? Written by rbaly79 2 Comments Posted in Dailies	Tagged with andre ethier, chicago cubs, ernie banks, los angeles dodgers, Troy from West Virginia, vote ! What’s going ? Dodgers are now 2 1/2 games ahead of the Arizona Diamondbacks. Dodgers are off today. The Snakes play a 4 game series against the St. Louis Cardinals starting today. With a win, Arizona would only be 2 games back. With a loss, they would be 3 games back. After tonight’s game, the Dodgers and D-Backs will have the same amount of games left, which is 6 games. Arizona Schedule. Los Angeles Schedule. I read this sad story on Yahoo! and the Seattle Times. Rosie Santizo was a inspiration to many people and helped alot of the Latin Ball Players. She died in a car crash. Rest in Peace Rosie. A couple of her sites… Flickr, YouTube, and her blog. I watched the game on t.v. Very nice. I think they did a nice job in bringing all those old Yankees. It was cool. Now that Yankee Stadium will no longer host a game, Dodger Stadium becomes the third oldest park in the Major Leagues. Video Time! The end of Troy ? Rick Monday will be signing his book at Dodger Stadium on September 19 before the Dodger game. Tommy Davis will be speaking and signing autographs at El Cholo Restaurant on September 24 at 6:30 pm. Call to make your reservation: 949.673.0777 I won’t be attending any of those events. I already have their autographs. Talking about autographs, I have yet to get a autograph this month. I missed on several events because I have been extremely busy. Hopefully, I will get some chances by the end of the month. A couple of MLBlogs have been updated. Andre Ethier has a new food review. Zack Hample made a visit to Dodger Stadium. I enjoy reading his blog. He has a passion of collecting baseballs. Alyssa Milano updated her blog too. Check them out. Dodgers in the World Series ? Dodgers Triple-A team leaving Vegas ? I got a e-mail from Ken Roberts. He created a “odds of making the playoffs” website. 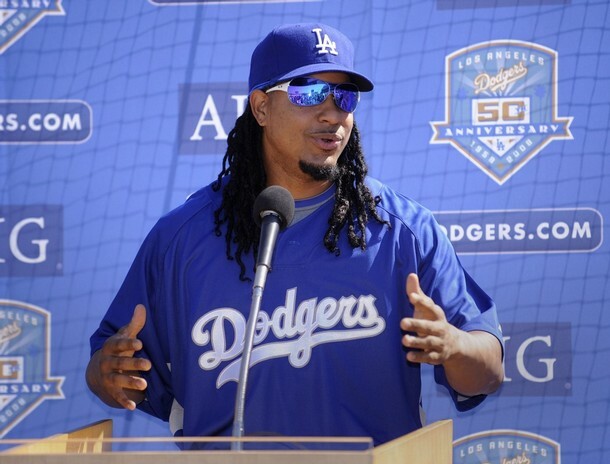 At this moment, according to his site the Dodgers have a 49.11 % to make the playoffs. Interesting stuff. Check it out if you’re into numbers. Troy from West Virginia is not happy with Allegany County Community College. 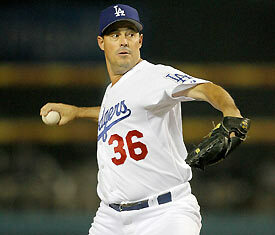 “It’s very rare that you get the opportunity to add a pitcher like Greg even one time, let alone twice,” Colletti said in a club release. Really ? Even let alone twice ? So why did you let him go in the first place ? Last October, the Yankees made Joe Torre an offer he couldn’t accept, the chance to be a lame duck in the shooting gallery known as Yankee Stadium. They came with 6 million bucks in one hand and brass knuckles in the other. 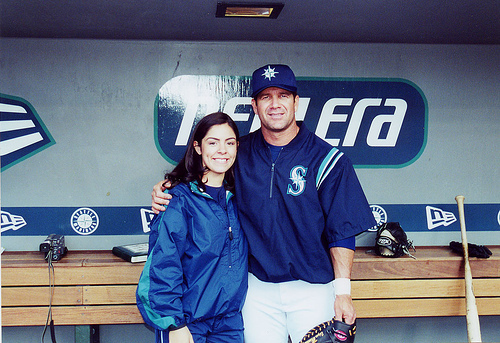 Torre walked away because he knew that, even at that kind of money, he wasn’t going to be a manager, just a punching bag. 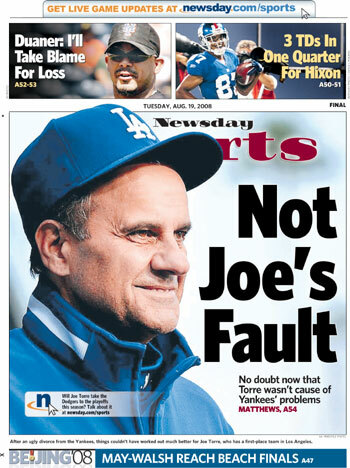 Can you imagine how hard and fast the fists would be flying in the Bronx today if Torre had accepted the deal, only to find himself 10 games behind the Tampa Bay Rays of all teams, and 5 1/2 games out of the wild-card race with fewer than 40 games to go? I disagree that the Yankees need to apologize. They knew very well the way they treated him. I do agree Torre would of been a punching bag. 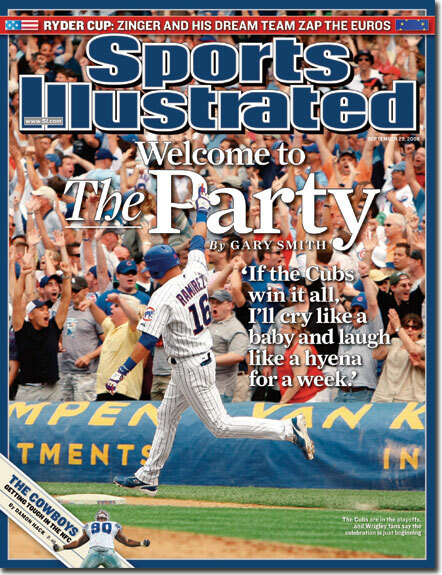 Imagine if your only purpose is to win a World Series every single year ? It’s impossible to win every year. The Yanks didn’t treat him fair. I’m glad Torre is with us but I do believe we would of been ok with a younger manager that can fire up these young players. 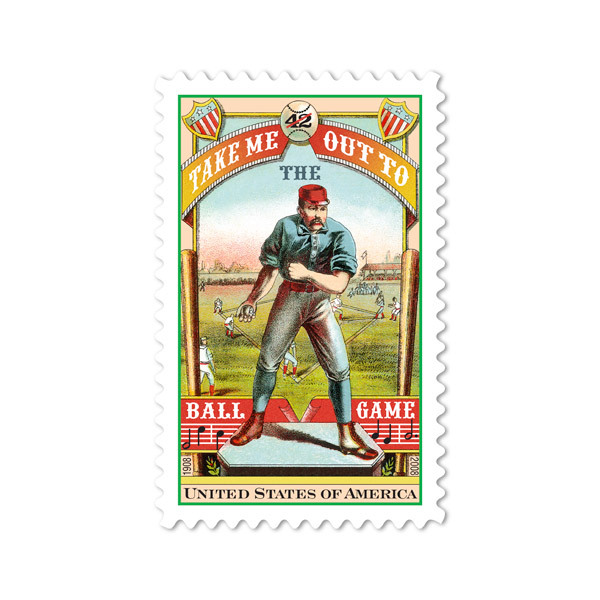 On July 16, 2008, in Washington, DC, the Postal Service™ issued a 42-cent Take Me Out to the Ball Game commemorative stamp. The stamp was designed by Richard Sheaff of Scottsdale, Arizona. This issuance commemorates the 100th anniversary of “Take Me Out to the Ball Game,” one of the most popular baseball songs of all time. For decades, the song’s catchy chorus has been part of the musical tradition at ballparks around the country, especially during the seventh-inning stretch. The song was born on a New York City train in the summer of 1908, when passenger Jack Norworth (1879-1959), an actor, singer, and songwriter who had never attended a major league ball game, saw a sign about an upcoming game at the Polo Grounds. Suddenly inspired, he took out a piece of paper and began dashing off lines about a fictional fan. Matt Kemp hosted a party last week. You can check out the pictures by clicking here.